Beequeen Hair Company is one of Leading Vietnamese Hair Suppliers on the Market. 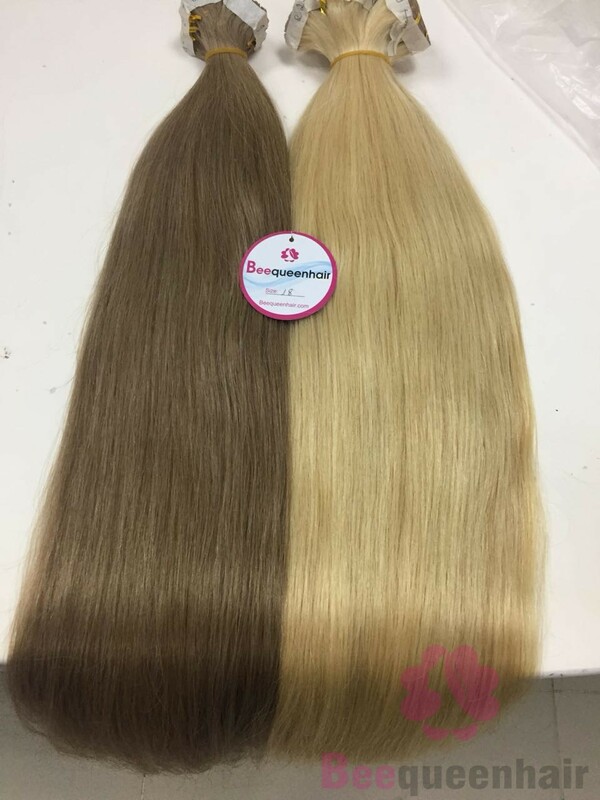 Our company is the expertise in manufacturing and exporting in Human Hair extensions, which are commonly known Tape in Hair Extensions, Clip in Hair, Machine Weft hair extensions, Pre-Bonde hair, Lace Closure, Lace Frontal… We have covered our position as one of the leading manufacturers and suppliers of original human Hair to all over the world. Our Tape in hair extensions comes from Remy hair that collects from the cut hair of the girl in the countryside in Vietnam and can be styled in any way you would your own natural hair. Vietnamese Hair is soft and long lasting. The natural smoothness can be felt just by running your fingers through the hair. Best human hair Tape in hair extensions have been made and design by our high skill workers. This style of hair extensions very often performs just like human hair giving you a totally natural look! Tape in hair can be treated as normal hair when applied as hair extensions, the tape hair can be, curled, straightened and blow dried as normal. The best human hair tape in we supply is 100% Vietnam Hair Best Quality. Do you know? Product’s quality is our life. 5 testing process include tangle test, shedding test, styling test, bleach test, service life test. Our tape in hair extensions – best quality keeps stable all the time, which help us win the high praise from our customers, we only provide the top quality products to help you expand your business. Beequeenhair provide best price and best service of tape in hair extensions. Beequeenhair is the leading wholesale supplier in Vietnam, so that, we are built a large team for customer care service. Besides, we have many policies about price and service for potential customers such as factory partner, resell, salon, etc. Please contact us to receive many promotional policies include big sale, buy hair with factory price. « WHY DOES BLACK HAIR NEVER GO OUT OF STYLE?